Life Groups are a vital part of what Bay Park is about. Within a group of 8-12 people, life needs, challenges, and joys can freely be shared. Each person will gain a sense of belonging. At Bay Park, we have many groups that represent various ages and stages of life, and that meet at different times during the week. There is sure to be one for you! 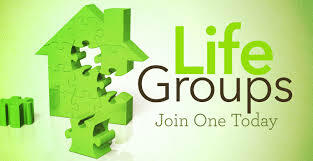 If you would like to join a Life Group at Bay Park, please email office@baypark.ca or call 613-389-2920.